The Office of the Chief Information Officer (OCIO) of the Office of the Chief Financial Officer (OCFO) of the Government of the District of Columbia (the District) was evaluating Freedom of Information Act (FIOA) cloud-based software solutions. They wanted a solution that would allow them to move from their legacy Salesforce FOIA solution to a much more robust FOIA solution with an external portal, integrated redaction, reporting, electronic delivery, etc. The customer’s Salesforce solution was lacking several key FOIA requirements to include exemptions, redactions, searching, and reporting functionality. Each of these fundamental functions were needed daily, which made processing FOIA requests inefficient for the FOIA Officers and FOIA Approvers thus delaying the time it took for citizens to receive the requested information. In addition, these inefficiencies increased their backlog of requests and forced government operators to create complicated and disconnected workarounds to support their needs as part of their Salesforce solution. 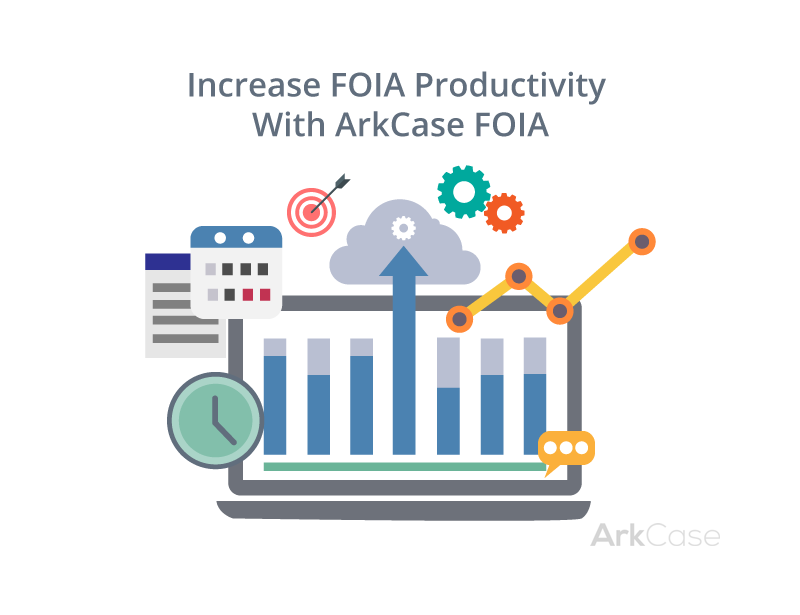 The Government of the District of Columbia partnered with Armedia to utilize ArkCase FOIA and configure it to meet all their detailed requirements. The implementation, training, user acceptance testing, and go-live was completed in less than 3 months. The Office of the Chief Financial Officer has decreased their backlog and processed 50% more request in the first 5 months, compared to previous years, leveraging ArkCase FOIA.